The English Hog Roast Company specializes in traditional Hog Roasts, Spit Roasts and Barbecues. Based in Bishops Stortford, Hertfordshire we offer catering services to functions and events throughout Essex, London, Hertfordshire & Cambridge. We aim with our hog roasts to always exceed the expectations of our clients at weddings, private parties and corporate functions no matter how large or small. We offer a bespoke stress free service which enables you the client to spend time mingling with your guests soaking up the atmosphere created by a hog or spit roast. The aroma and sight of a Hog Roast turning will be a talking point of any event and is sure to please the hungriest of guests. Please view our hog roast options. We source all of our hog roast produce locally in Essex and Hertfordshire, all of our pork and lamb is free range and if required organic. Our aim is to work closely with farmers, bakers and small holders in order to serve you and your guests fresh, seasonal food whilst helping to support “The Best of British” and serve you a succulent and superior tasting hog roast. Please view our variety of catering options that are currently available. Please do not hesitate to contact us to discuss your forthcoming Hog Roast, Spit Roast or Barbeque event in more detail. We specialise in weddings, corporate events and private functions in Hertfordshire, Essex, North London and the Home Counties. The English Hog Roast Company will come to your venue and provide the most delicious hog roast. 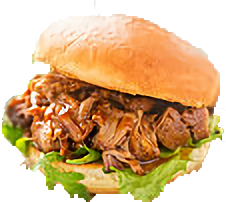 Providing Hog Roast Catering mainly in Essex, North London and Hertfordshire. We are happy to travel outside of these areas and often Hog Roast in Middlesex, Kent, Suffolk, Cambridgshire and Greater London. In recent years hog roasting at weddings or having a hog roast company come in and do the wedding catering has been a very popular choice for couples getting married. What better way is there to enjoy your big day than having beautifully fresh, moist and succulent pork with crispy, salty crackling with home-made sage and onion stuffing in a fresh from the bakers floured bap? In our opinion this type of food cannot be beaten. It is always a talking point and guests mingle around the hog roast, looking, pointing and asking questions whilst the beautiful smell of the pig cooking floats on the air around the venue. People genuinely cannot wait to have their hog roast and many their second too. We have found the perfect combination for a wedding, at least we have found this as one of the premium hog roast and wedding catering companies operating in Essex and Herts is to start with some canapes to keep the wolf from the door. Then as the main attraction the hog roast with our free range Essex pigs cooked slowly for the maximum enjoyment and taste benefits you get from superior pork meat all served in a delicious soft floured bap from our Bakers based in Herts. This accompanied by our delicious salads and sides will make for the perfect wedding hog roast and satisfy the most demanding of appetites. Then to finish off your spit roast some delicious desserts to make sure all guests have their sweet tooth satisfied too. As a hog roasting catering company that specializes in weddings and party catering we know how important your big day is and that only the best pork and spit roast will do. This is why we are your one stop shop for all wedding catering needs, from staff to canapes and from hog roasts to barbecues and salads. We pride ourselves on being highly acclaimed and regarded within the Essex, Herts and Hertfordshire area for hog roasts, barbecues and wedding catering. You may well have attended one of our hog roasts and be one of our thousands of happy hoggers. Please get in touch if you have any questions about wedding catering and if you are thinking about getting married in Essex or Herts. Maybe even if you are just interested in having a party. All at The English Hog Roast Company look forward to hearing from you. Roasts can be served by The English Hog Roast Companies fully trained waiters and waitresses. Please visit our staff page HERE. We also offer delicious home-made canapes too, please visit our canapes page HERE.